Betsoft gets the job done with another fantastic Bitcoin slot. Set in the traditional American Yellowstone park with a backdrop of a good old log cabin. The main characters take the form of an obese exterminator who is sent out to get rid of a few pesky critters. One pesky critter, in particular, is a sneaky raccoon. 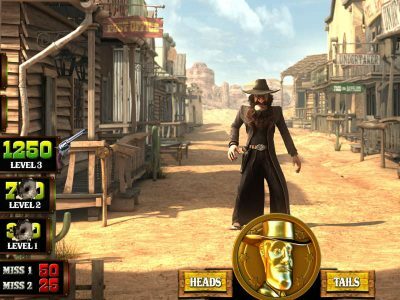 The slot revolves around the game of chase between these two characters. The raccoons catch-me-if-you-can attitude and light-hearted music make this slot a humorous adventure. 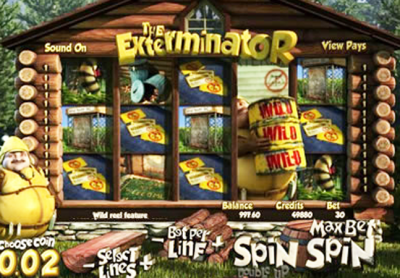 The Exterminator is a 5 reel and 30 pay line slot which has a medium level of volatility. The symbols are the exterminator himself, a sneaky raccoon, garbage bins, rusted gate, something which I’m going to hazard a guess at – a tail maybe?, a “Welcome to Raccoon City” sign, business cards and a “Not Welcome” sign. A set of blueprints and some footprints are the 2 scatters while a truck is the wild which can substitute for all standard symbols not including the scatter. The controls blend in nicely and consist merely of text, rather than traditional buttons. On top of the reels are your View Pays while down below are Choose Coin, Select Lines, Bet Per Line, Autoplay, Spin, Double Up and Maxbet. There are also displays for Balance, Credits and Bet amount to keep a beady eye on. There’s no Turbospin, but so much is happening in this game that it would be a travesty of an inclusion. 5 or more footprints anywhere activate’s 10 Free spins with a special set of reels and a random multiplier applied! If any extra symbols add to the original win, those stick in place also and there’s another respin. This continues until no additional symbols are added. 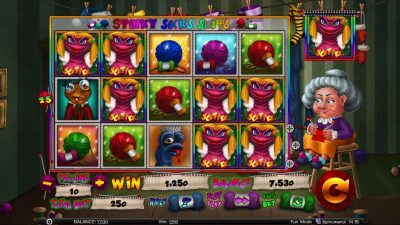 Wild Reel: The truck triggers the Wild Reel in which the wild sticks with other winning symbols and then expands at the end of the sticky win respins. Bonus Round: 5 or more blueprints anywhere triggers the bonus round. Choose where you think the raccoon may be hiding for some inevitable pain to be inflicted on the hapless exterminator, but more importantly, to score a great cash prize! After each winning spin in regular play, you get a chance to Double Up your profits with a simple card color choice.